Most people associate chiropractic care with pain relief. In reality, a chiropractor’s task is to look after your nervous system. Dr Muireadhach uses gentle chiropractic adjustments to stimulate your nervous system, which controls every cell, tissue and organ in the body. Based on neurology, chiropractic care can make this vital system function better. We’ll seek to relieve your pain as quickly as possible, stabilising your condition. You’ll be walked through the process of an adjustment before beginning. Rest assured that Dr Muireadhach uses only the most reliable, noninvasive methods available. 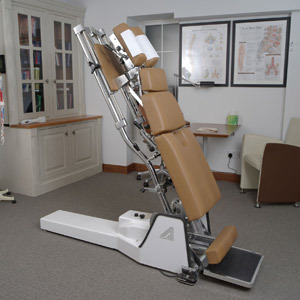 The advanced Activator® V is used by only a couple of chiropractors in all of Ireland. It’s been shown to stimulate a human nerve up to 94%, a nearly unprecedented level. This instrument is registered and approved by the Food and Drug Administration. It has different thrust settings that generate a precise force exactly where it’s needed. 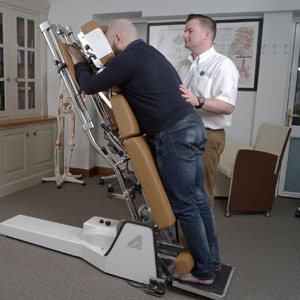 Created by the founder of the McTimoney College of Chiropractic, John McTimoney, the McTimoney approach is typified by a whole body assessment and swift, light force adjustments, which makes it a comfortable treatment to receive. It brings a head-to-toe approach to care and is suitable for all ages. Find out what we can do for you with a quick, no-cost spine check and posture analysis. Contact us today to book your appointment!